Part One covered how the failure to resign Tino Martinez after the 2001 season is one of the many reasons why the Yankees have been unable to win a World Series. Part Two will examine how the signing of Jason Giambi was a big factor in the downfall as well. Jason Giambi grew up loving Mickey Mantle. His father always told him and his brother stories about the great Yankee, and Giambi grew up wanting to be just like the Mick (that's why his uniform number always adds up to seven, in honor of Mantle). After losing to the Diamondbacks in the 2001 World Series, the Yankees were looking for a player that could drive in lots of runs mostly with the long ball to keep the fans entertained. They were determined to sign Giambi to a big contract and that's exactly what they did. On Dec. 13, 2001 the Yankees signed Jason Giambi to a seven year, $120 million contract, and thought they had made the deal of the decade. In his first season with New York, Giambi put up impressive numbers batting .314 with 41 home runs and 122 RBI. After that he never batted over .300 again. He did manage to keep smashing home runs and put up another 41 in 2003 despite the rest of his numbers decreasing. He also contributed with his on-base percentage and constant patience at the plate. His on-base percentage hasn't dropped below .300 in all of his years with the Yankees. And then came the Balco scandal. Giambi was subpoenaed by Congress after being named as one of the clients of Balco, a lab out in California that was said to be providing performance enhancing drugs to a slew of professional athletes. Giambi was suspected of steroid use mostly during his time with Oakland while he was teammates with Jose Canseco and Mark McGwire, two other highly suspected users. He never confirmed or denied any use he just simply told the media that he was "Sorry" and he "Never should've done that stuff." It was never clarified what Giambi meant by "that stuff" but most of us knew what he was referring to without specifically saying so. Once all of that came out, Giambi was no doubt affected. Who wouldn't be? This was a guy that was considered to be one of the best home-run hitters in the game and now everything he ever accomplished was essentially tarnished. Over the course of the 2004 season, Giambi was hit by injury after injury. He developed a benign tumor on his pituitary gland which was originally thought to be an intestinal parasite. It was never exactly said how Giambi developed this tumor, but I consulted my dad, who happens to be a physician and he explained that Giambi's body was going through steroid withdrawal hence the fatigue and the tumor. He was put on the DL in the end of July and didn't return until the second week of September, and was a non-factor in the post season. No one was sure if he had anything left to give to the Yankees. However, in 2005 he re-emerged and won the "Comeback Player of the Year" award. This success was short lived, and as his offensive numbers continued to drop his defensive numbers (which were never very good to begin with) also diminished. Giambi was being used more as a DH than at first base because the thought of him having to throw the ball to second made people in the organization and the fans uneasy. In 2007, Giambi sustained an injury to his foot and was out for the remainder of the season. Instead of being the answer to the Yankees' offensive issues after 2001, Giambi created more question marks for the team. They couldn't trade him because no one would pick up the rest of his obscene salary, and they wouldn't get any return on him either. It seems kind of silly to have a guy that's making $23 million sit on the bench all the time because his numbers aren't very good. Anyone making that kind of money should put up the numbers that represent that salary. The Yankees were always trying to patch the hole at first base, and have signed utility players like Wilson Betemit or veteran guys like John Olerud and Richie Sexon that could play first base well, and still keep Giambi's bat in the line up. $120 million on someone that couldn't be depended on every day is definitely a misuse of money. Now I realize that Big G had a decent 2008 campaign. 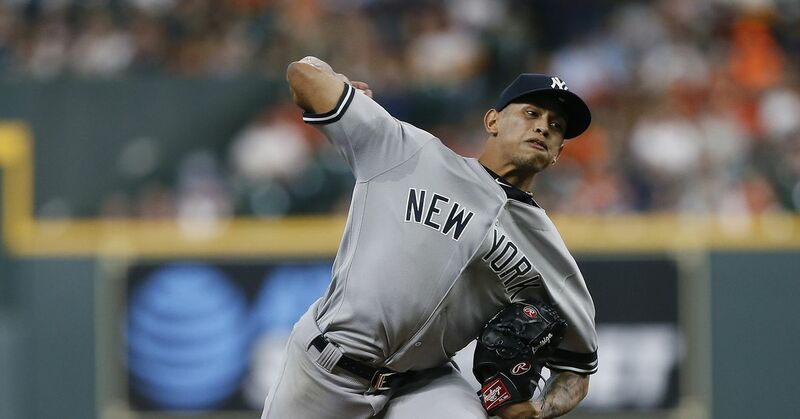 He put up first half numbers that helped to keep the Yankees afloat when Alex Rodriguez and Jorge Posada were injured and the rest of the line up was anemic. He even almost got elected to the All-Star Game, and the "Power of the 'Stache" became a slogan that entertained fans and media a like. At the end of the day, the fans feel like they got cheated out of getting someone who was supposed to be really great. Don't get me wrong, I like Giambi, he seems like a nice guy who got mixed up in some shady stuff, but it is most definitely time to say good bye. Who knows, if all of that steroid stuff hadn't come out (or if he'd never used them) his numbers might not have been so impressive coming off of 2001 and he would've been some other team's issue. Since the Yankees signed Giambi, a trend was started where they went after free agents at a high price that didn't really work out (Carl Pavano, Gary Sheffield, Kyle Farnsworth). In trying to satisfy one need they ended up creating more, which ended up affecting the team more than anyone could have foreseen. Coming up, part three will hit on how the change in clubhouse chemistry has affected the team's success.